Summerfields West 55+ offers the Wildflower home. This is a 1,554 sq ft home that includes a covered front porch, 3 bedrooms, 2 bathrooms and a walk-in closet and a morning room. More than just value to price, you will enjoy many excellent features and options included in the price of a Wildflower home in Summerfields West in Williamstown, NJ. And it’s not only the value to price, there so much more. Whether you are 55+, retired or a senior looking to downsize, The Wildflower is right for you. It’s just the right blend of open environment, with beauty and graceful space. The features are so conducive to your lifestyle. There’s a master bedroom with a master bath, and two extra bedrooms adjacent to a bathroom. A walk-in utility room for washer/dryer, and storage. The living room and dining are laid out in open concept. The morning room is entered by both the kitchen and living room and opens to the porch. There are plenty of windows to saturate the home with natural light. The Wildflower presents an easy and comfortable living environment that you’ll love. Get the most out of a fixed income. Enjoy the benefits of no maintenance. 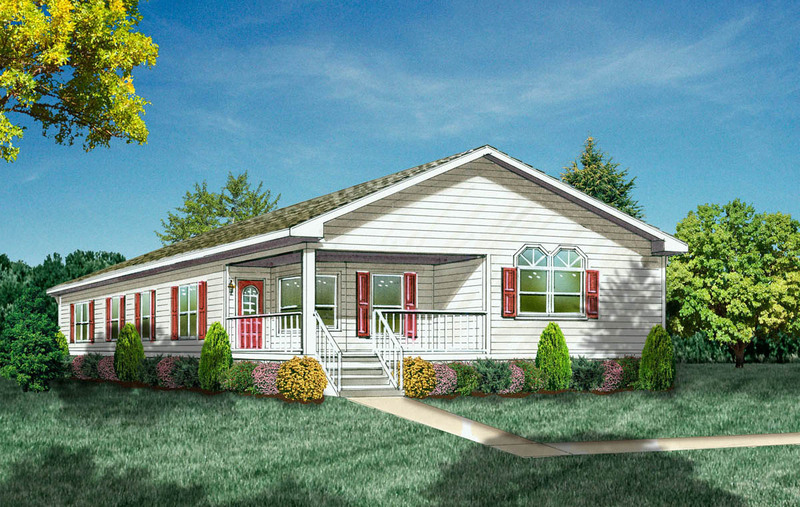 The affordability of a manufactured home you can customize. Enjoy Philadelphia’s fine restaurants, museums and sporting events. We found everything we were looking for, when we found Summerfields West! It is close to everything, including Atlantic City and the Jersey Shore beaches. Convenient to Philadelphia and all the cultural activities available there. Lots of shopping and dining nearby. I love my Wildflower home design here at Summerfields West! My husband didn’t want to cut grass anymore, and I wanted to be closer to family. Here’s your chance to own The Wildflower at Summerfields West, right now. Distinctively designed, value- priced, now is the time to make the move. This is a well-planned community on some 110 acres. Every detail has been planned out. The Wildflower will be a fragrant experience and you’ll be glad you came. Schedule an appointment or visit during office hours. Don’t wait.